The warmer temperatures, sunshine, birds chirping, and melting snow cheered me up so much this week! Here's what week 11 of 2019 looked like! Trying to get some exercise in, but I need to be better about it. Still loving salad club at work! Check out this week's colorful creation. I really enjoyed this read for book club. Can't wait to discuss it this week. This satisfied my craving for Italian food. I'd definitely repurchase, but I wish there was more saus'age in the dish. Attended a bridal shower for Craig's cousin's fiance. She was so sweet and we have a lot in common. After shopping off and on for two years, I finally picked out two new frames from Costco optical and had a really good experience there. These are my prescription frames. And my blue light frames, which have no prescription in them so I can wear them at work and home with my contacts. Started and finished this wonderful book by Sy Montgomery! We definitely have the same, deep love for animals. Reading about how she dealt with grief over losing a pet reminded me of myself. Unfortunately, we got some bad news about our two cats this week and we aren't sure what is causing all of our cats to get sick. It was hard enough to lose Tanzi in January and I can't imagine dealing with two more being sick. 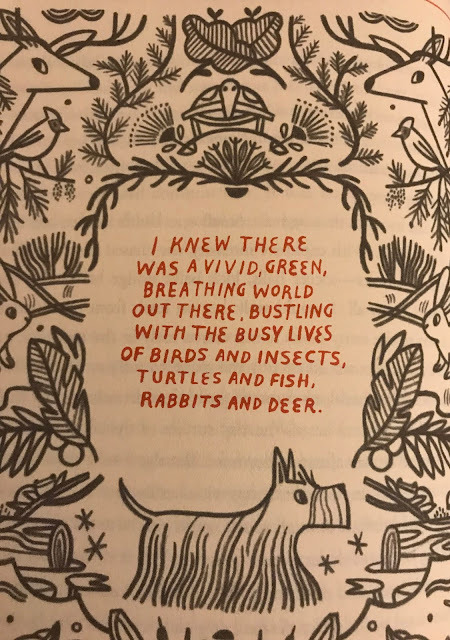 Anyway, great book and I highly recommend if you're an animal lover like me! The illustrations in the book were so cute too. Pema and I were basking in the sun this morning. Snuggles with Shiva. He's the sickest of our two cats and my little buddy, so lots of tears were shed on Monday when I got the bad news from our vet. His kidney levels are elevated and his thyroid is in the grey zone. We tried the burrito special at Urban Beats this week. It was ok. I much prefer other items on their menu. Accidental phone shot, but it represents that Craig and I got a couple of nice walks in this week. It felt so good to be outside. 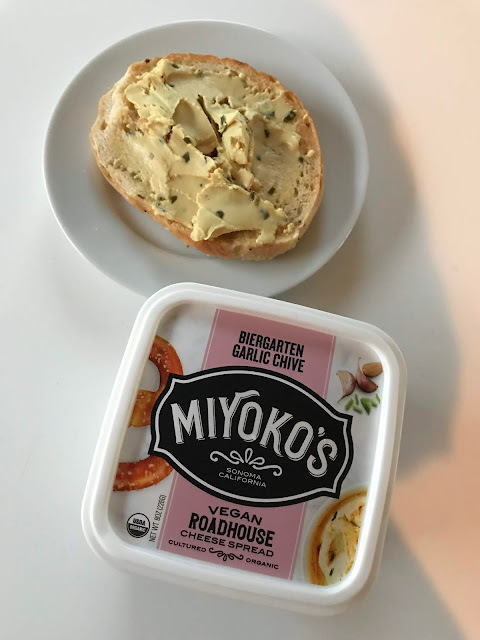 We both really liked this Miyoko's vegan cheddar cheese! So did Pema. He's always trying to sneak something, but he's not quite as brazen as Shiva is.